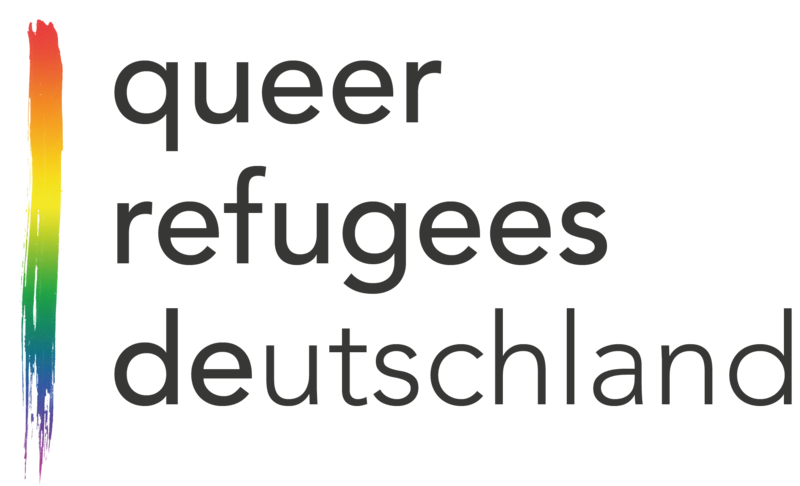 1.1 When are LGBTI refugees granted asylum in Germany? Lesbian, gay, bisexual, trans+, or inter+ (LGBTI) persons who are being persecuted are entitled to asylum in Germany. Persecution means that they are being threatened with extreme violence, death, imprisonment or other types of inhumane treatment in their country of origin due to their sexual orientation and/or gender identity. People in Germany can speak openly about being LGBTI. It is not a taboo. 1.2 When does state persecution constitute grounds for asylum? The nature or frequency of the acts of persecution or discrimination must be so extreme that they constitute a serious violation of human rights. The fact that homosexual activity is punishable by law does not in itself constitute an act of persecution. Only the actual imposition of such a punishment is considered an act of persecution. 1.3 When does persecution by the family (non-state persecution) constitute grounds for asylum? If the persecutor is a non-state entity (militia, family etc.) rather than a state entity (police, judiciary etc. ), the persecution only constitutes grounds for asylum if evidence is provided that the state is not able or willing to offer protection. This means that violence and threats of violence from family members only entitle the victim to asylum if it is evident that he/she would not be protected by the police or by moving to another part of the country. 1.4 Where will I live during the asylum procedure? After applying for asylum, the asylum seeker is assigned to a federal state. During the asylum procedure, asylum seekers are initially housed in collective accommodation. As a rule, asylum seekers have to wait until they are granted asylum before they can be assigned to a municipality, move into a private apartment, participate in an integration course and start work. Special accommodation is sometimes available for LGBTI persons. 2.1 How does the asylum procedure work? Applications for asylum can only be made on German ground. The asylum procedure usually includes two hearings by the Federal Office for Migration and Refugees (BAMF). The first hearing mainly aims to clarify which Dublin state is responsible for your case. The Dublin states are all the EU member states and currently also Iceland, Norway, Liechtenstein and Switzerland. The reasons for seeking asylum are not addressed until the second hearing. Occasionally, both hearings may take place on the same day. 2.2 What should I do before the hearings? When preparing for the hearings, it is advisable to get support from asylum counsellors and contact organizations for LGBTI refugees. It is a good idea to write down all acts of persecution in chronological order, collect evidence, and practice talking about what you have experienced. It is also advisable to send an e-mail as soon as possible requesting an interviewer familiar with LGBTI issues, and to notify the authority in case you will be accompanied. The first hearing mainly consists of questions about the asylum seeker himself/herself, where the family is staying, and the escape route taken. In general, the asylum procedure is the responsibility of the Dublin state that issued the entry visa. If an asylum seeker enters the country without a visa, as a rule, the procedure is the responsibility of the country that the asylum seeker entered first. In such cases, the asylum seeker is usually sent back to this country. The second hearing focuses on the reasons why the asylum seeker fled the country. These must be described clearly and in specific detail, without omissions or contradictions. Lies told during the hearing are usually recognized by the BAMF and will lead to the application being rejected. Afterwards, the transcript is back-translated and becomes valid when signed. The asylum seeker should therefore insist on all problems during the hearing being noted in the transcript. 3.1 What kinds of international protection exist? Classic asylum (initially for a period of 3 years) is primarily granted to victims of political persecution who entered Germany on direct flights. In contrast, victims of persecution who enter Germany via another EU state are eligible only for refugee status (also for 3 years). People fleeing civil war are usually granted subsidiary protection (initially for 1 year). The status is extended if the grounds for asylum persist. 3.2 What should LGBTI refugees from countries torn by civil war consider? LGBTI individuals fleeing civil war in their own countries should also describe the discrimination and acts of persecution that they have experienced due to their sexual orientation and/or gender identity. If they do so, they may be granted protected status for three years, independent of the civil war. It is more difficult to add these grounds later on. 3.3 What can I do if my application is rejected? A negative decision does not inevitably mean deportation. Asylum seekers are entitled to appeal against negative decisions though a lawyer. Even if the appeal is unsuccessful, there are a number of reasons why this often does not mean deportation. In many cases, it is therefore a good idea to find out whether there are obstacles to deportation even though the application for asylum has been rejected. 3.4 What are accelerated procedures? During accelerated procedures, it is initially assumed that there are no grounds for asylum, and the burden of proof is reversed. It is implemented with refugees from so-called safe countries of origin (all EU states and currently all Balkan states, Ghana, and Senegal). Refugees who misled the authorities about their identity or who have destroyed their documents are also put through the accelerated procedure. 4.1 What information do I have to provide about my identity and sexuality? It is essential that LGBTI refugees reveal their sexual orientation and/or gender identity during the asylum procedure. As part of this, they must also answer questions about their private life, their self-discovery and their previous relationships. However, questions about their sexual practices are forbidden. Photos and videos with sexual content are not accepted as evidence. 4.2 What can I do if I didn’t “come out” during the asylum procedure? If the result of the asylum application is negative, there is usually no opportunity for another hearing to provide additional reasons for leaving the country of origin. This is why it is important to specify your sexual orientation and/or gender identity right from the start as a reason for fleeing the country. LGBTI persons who did not do this due to fear or shame and whose application is rejected can try to lodge a follow-up application through a lawyer. 4.3 Will I be granted asylum if I did not live openly as an LGBTI person in my country of origin? LGBTI refugees who did not live openly as such in their country of origin and therefore left without being persecuted will only be granted asylum if they did so for fear of persecution. If they concealed their sexuality and/or gender identify to save face or protect their family’s honour, this does not constitute grounds for asylum. In such cases, it is often assumed that they can continue living this way and that persecution is unlikely. In contrast, a marriage does not conflict with homosexuality or bisexuality. 4.4 Does discrimination against LGBTI constitute grounds for asylum? Insults, abstract threats, and homophobic or transphobic attitudes held by the majority of society are not in themselves grounds for asylum. However, if discrimination in the refugee’s home country is so extreme that it seriously violatates human rights, this does constitute grounds for asylum. This may also be true in the case of exclusion from education, health care or the job market.